I have been researching porcelain slips and china paints and am curious what other people use, and if they have used anything from The porcelain place. They sell ultra chic slip which I have heard is a good slip, I would definitely be ordering and trying some when I am at that stage of my doll. But I am also curious about their line of china paint and I am wondering if anybody has used them? They also have a line of slip specifically for BJDs. I find myself curious about these and what they look like on a doll! Has anybody used them on their own dolls? Otherwise I have heard that Magnolia White and Dresden are popular from their regular line of slip colors, but I can't find exact photos of those colors on a BJD either, so, has anybody used those? 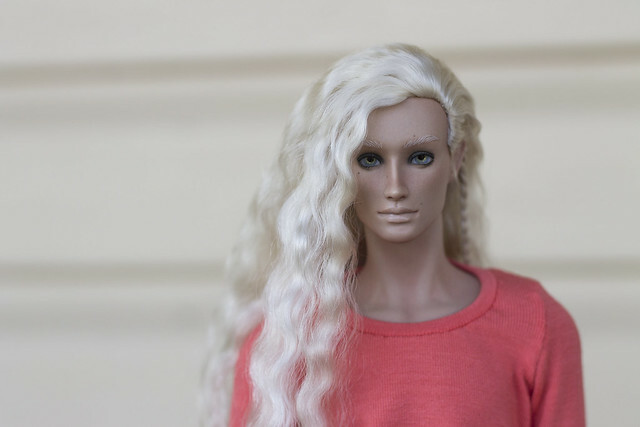 I use bjd color peach pink (they are almost no different) and dark. Thank you so much for sharing! How do you find the paints and slip? Are they good quality? They do seem to be from your work but it is always nice to hear directly from your experience. I use not only their colors. I have 25 colors porcelain place. 4 I do not use because they strongly change color. 1 color sent me a transparent although on the label it should have been pink. other colors I like. I have used ultra chic colors: Rose Dawn, Dresden, Rich Chocolate, Soft Champagne and bjd colors 3 and 4. I think Ultra Chic is an excellent slip. It is so smooth and consistent, almost never a black spot. 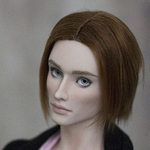 I would recommend any of the colors I have tried except bjd 3. Maybe it was a bad batch, but it cracked badly in the mold and warped a lot in the kiln. I expected Rich Chocolate to be darker. Soft Champagne and Rich Chocolate are my favorites so far. Shipping can take a while but it is worth it. Thank you for sharing Tinyshirt! I love your Clouds, and I think the slip choices you have made are very beautiful.